This week's new release is Project 2015 September and it is just what you need for the upcoming fall layouts!!! The Mega Stash Bundle is a super deal!! This bundle includes 8 full size products and is priced at a savings of $7.99. AWESOME! Included in the bundle is the Kit, Border Clusters, Date Pack, Journal Cards, PreDeco Papers, Stitched Pocket Temps, 12x12 Templates and the Extra Papers. Yes, you can buy each of the packs individually, but I am not sure why you would when the bundle is such a super savings! There is another bundle that includes the Mixed Media Elements, Messy Papers, Inked Bits and Doodled Elements. Also a great savings! Today is the final day to leave your comment for a chance to win this week's upcoming release from Connie Prince! Looks like a lovely fall inspired kit! The image is linked to the blog where you leave a comment including your email address! That email address is really important.. or how can i contact you if you win? Last day to leave your comment! I also want to remind you all that today is the last day of the 40% Sale at Connie's stores! This sale coincided with Connie's stint as the Spotlight Designer at Gotta Pixel! Hope you stopped by every day to grab that daily download. One of my personal favorites is the $2 Deal from Kristmess Designs. Both the kit and alpha are $2 each. The rest of the collection is 25% off. Some awesome kits are offered in the $2 Sale this week. 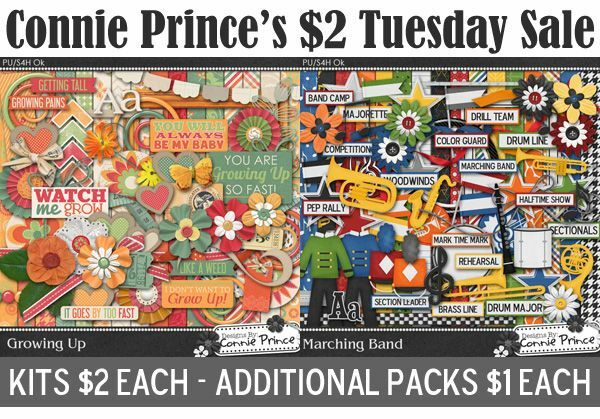 Starting with Connie Prince - the page kits are $2.00 each and additional packs are $1 each. These are both wonderful kits for the upcoming fall season - which is just around the corner!! Moving on to Kathryn Estry - who is offering the Indian Hawthorne Kit this week. The page kit is $2 and the additional packs are $1 each. This week, Kristmess Designs is offering Strawberry Kisses Page Kit and Alpha for her $2 Tuesday Deal. You can check out the entire Strawberry Kisses collection HERE on Gotta Pixel. 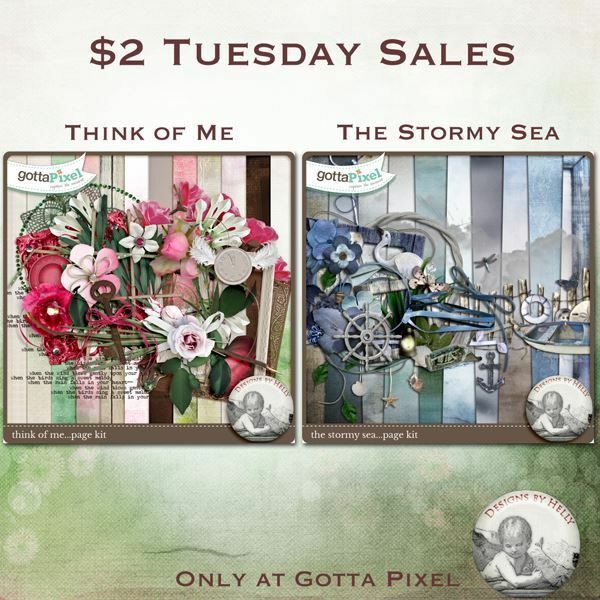 Designs By Helly has two kits for the $2 Sale at Gotta Pixel. I Have Loved You Forever is available HERE on Gotta Pixel. Darkness Falls is available HERE on Gotta Pixel. Here are this week's Share The Memories, available only at My Memories. Remember, you don't need to use the My Memories software in order to use these freebies. 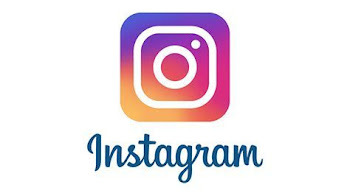 You do have to have a My Memories account. When you go to download, simply choose the General option and you will receive JPG and PNG files!! These freebies will be available through August 16th! Designs by Helly has a lovely GGI release titled "Leave This World Behind". Available in a bundle or individual packs and sale priced through August 14th. Kathryn Estry has a really cute GGI release titled "Wheels". There is the Wheels bundle which contains 8 products for $8 (each pack is available individually for $1 each). There is also a Whee;s Extra bundle for $4.50 (each pack is available individually for $1.25 each). Pricing is available through August 14th. 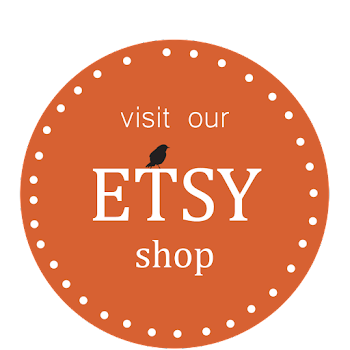 Each image is linked to Kathryn Estry's store on Gotta Pixel. The GGI Releases are available only on Gotta Pixel at very special pricing. Let's take a look at Connie Prince's "Rise & Shine" Collection. Each of the 8 full size core products are only $1 each. The add on packs are $1.25 each. Pricing is good through August 14th. You can view the entire collection right HERE on Gotta Pixel. On to the add-on packs, each linked to Connie's store at Gotta Pixel. There is no GGI release this month from Kristmess Designs. Kristina is out of the country, visiting her family. Tomorrow, I'll have the Gotta Grab It releases from both Designs by Helly and Kathryn Estry.